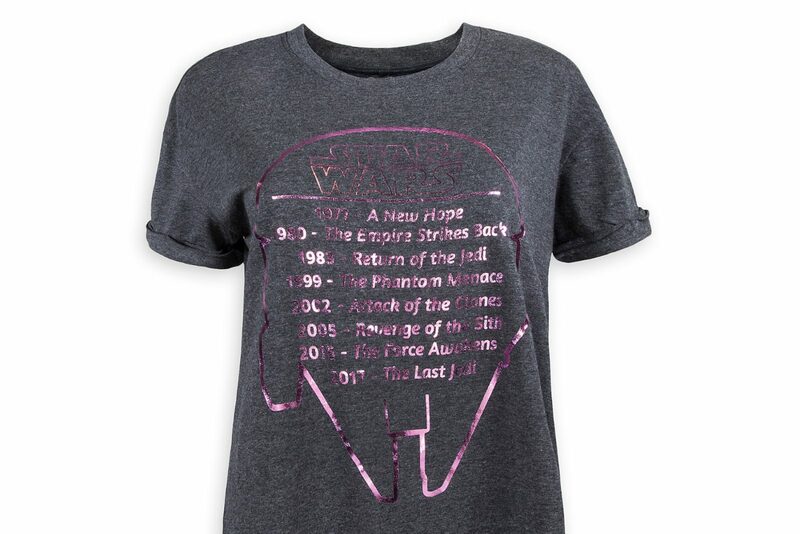 This women’s Star Wars movie list t-shirt is now available at Shop Disney. The heather grey t-shirt features a pink metallic print of the Millennium Falcon outline, with a list of the Star Wars saga movies (so far), and the year of each release. 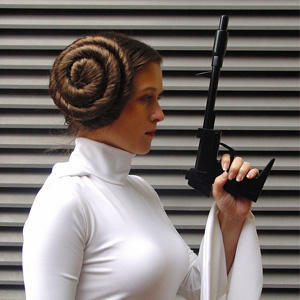 So neat to see a t-shirt include the prequels! A long time ago in a galaxy far, far away – you battled through the day wearing this heathered tee with a metallic Millennium Falcon outline and Star Wars saga titles crawl. 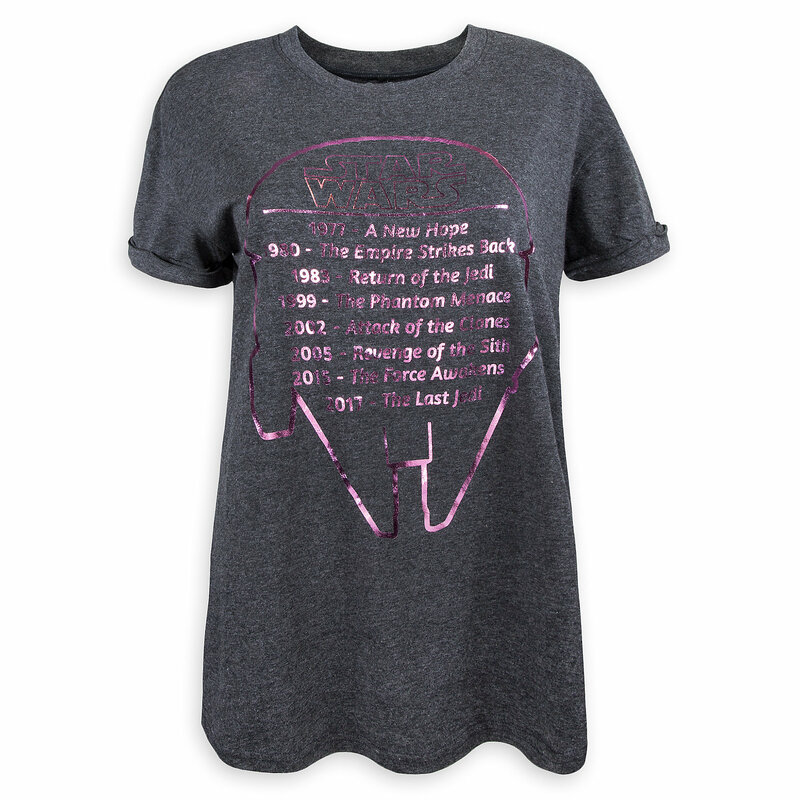 Available in sizes XS to 3X, the t-shirt is priced at US$32.99 each – Shop Disney can ship internationally.